The electrical testing and certification process at System Electrical Ltd has been reviewed and updated. ASUS Tablets have been purchased and equipped with CLIK NICEIC certification software. The previous process required the tester to hand write the results on a draft paper certificate and deliver to the office for manual inputing onto a computer software based certificate. 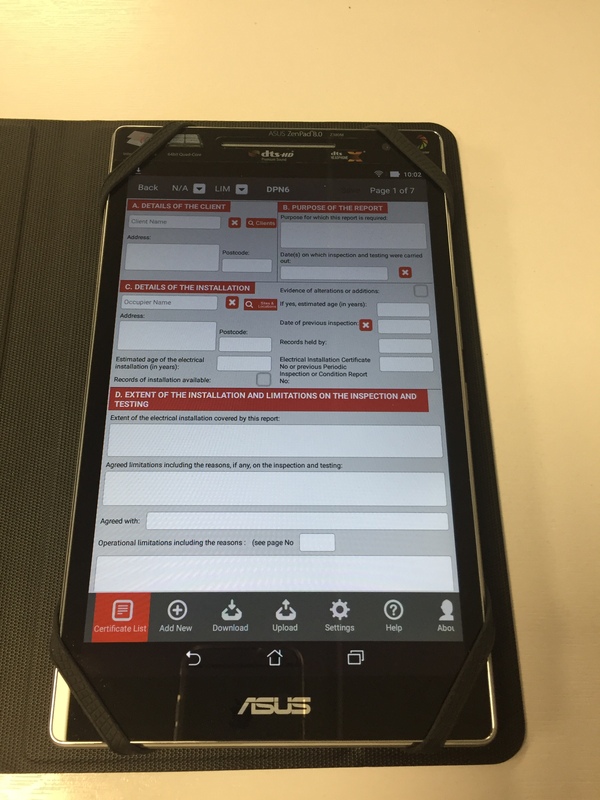 This new system enables the testers to input the test readings and associated information straight onto the tablet based certificate whilst on site and upload the certificate to a server linked direct to the office. This new process eliminates the use of paper and provides a rapid, secure and streamlined system enabling certificates to be produced and distributed to our clients significantly faster. The tablets also have email capability to enable drawings, instructions and information to be shared between site and the office.